Big Names, Unbranded Boots: Why so Many? We all know individual football boot sponsorship deals are big, big business. 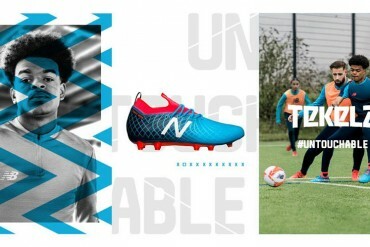 From past conflicts over big-money boot deals like we’ve seen with Mesut Ozil and Robinho to disclosure of the figures earned by the likes of Stewart Downing, there can be no doubt as to how seriously brands like adidas, Nike and PUMA take getting stars into their footwear. 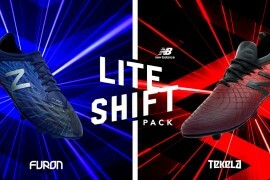 Yet over the first three months of this season, we’ve see no shortage of players wearing unbranded football boots – by which we mean a pair of football boots with all traces of the branding removed and distinctive colours blacked out. Big names players like Carlos Tevez, Dani Alves and Aaron Ramsey are just three players who play Champions League football, represent their country internationally and are generally considered top talent. So why have all three been playing in unbranded boots for at least the last month? Well, the reason varies from player to player, but let’s take a look at some of the major factors. When negotiating a deal with an international player, smart brands will look to have a boot sponsorship deal end right after a major international tournament. It’s no secret that the World Cup is the biggest sporting event on the planet, and if you’re adidas, Nike, PUMA, Umbro or Warrior, you want to guarantee your player is wearing your football boots for the duration of the tournament. 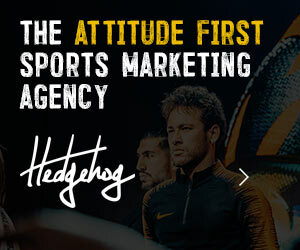 The World Cup can be ‘kingmaker’ for some players – having a deal come to an end after the World Cup gives brands the right to renegotiate with players almost immediately: we’ve no doubt adidas were straight on the phone to James Rodriguez after his star turn in this summer’s tournament. On the flip-side, World Cups often bring about international retirements or – as sad as it is to say – straight-up flops; it’s no surprise Nike let Pepe slide into unbranded boots after a poor showing and embarrassing sending off with Portugal at the World Cup. 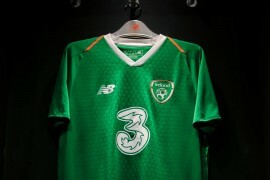 Getting a bead on a players next steps at international level can be a powerful negotiation tool for brands – it could well be that Robin van Persie has played in his last World Cup – hence why adidas aren’t immediately renewing his deal. One of the terms that became something of a household name during the time Nike and adidas were playing tug-o-war with Mesut Ozil was ‘exclusive negotiation period’. 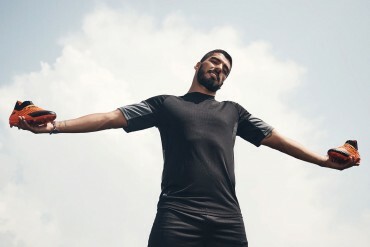 When a players time with a brand comes to an end, many of the bigger stars’ contracts are equipped with what is essentially a ‘cool down’ period. 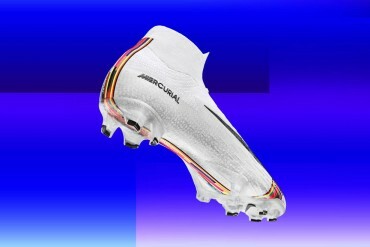 If a player and their agent decides that they aren’t going to automatically renew with a brand they will instead invite offers from other football boot companies. 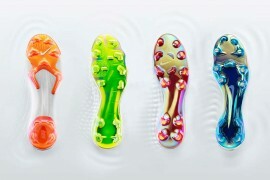 During this time the player must wear their old boot brand or unbranded boots – the choice is theirs. However, their old boot sponsor has the right to match or better any offer from a rival before they can put pen-to-paper with a new brand. 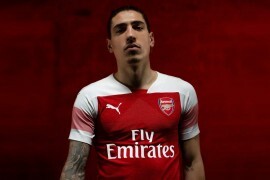 Let’s not pretend it’s just brands running the rule over a player is worthy of a football boot deal: the players and their agents are just as culpable. As a contract comes up for re-negotiation, a brand might offer up an automatic renewal of the same deal. However, a player might push back for a higher value endorsement based on where they feel their career is going. Whilst this back-and-forth is ongoing a player might well black-out their boots or remove some of the distinctive features to show a brand what they’re missing out on. This season also brings a unique challenge for some players, and one brand in particular. 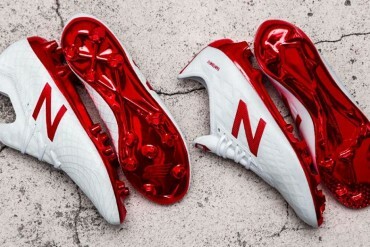 It’s all-but confirmed that Warrior will be rebranded as their parent company New Balance for the football market in 2015. 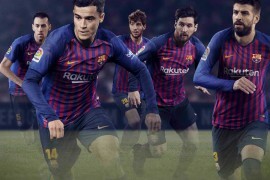 Given the unique timing of having so many players deals up for renewal at the same time, it seems New Balance have smartly snapped up the services of Aaron Ramsey, Adnan Januzaj and Samir Nasri. 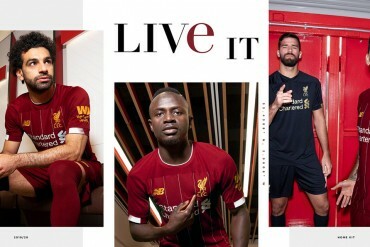 However, New Balance wouldn’t want to have a grand reveal of these players as Warrior athletes right now, only to re-reveal them as New Balance players in six months – the risk of public confusion and cannibalising existing Warrior boot sales would be too great. 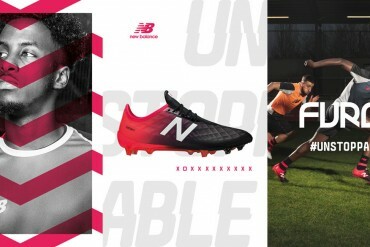 Not to mention that you only get to announce a player as signing for your brand once; New Balance will no doubt want their re-brand accompanied by a handful of new player signings to help raise awareness of the switch. 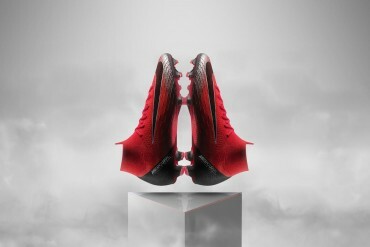 The solution – have them play in unbranded prototypes until the big reveal is green-lit. great article, and it explains a lot. I suppose in a couple months the smoke will clear out and we’ll see what boots these unbranded players wear. particularly we’ll see which are and what happens with the Warrior/New Balance players.